I have now made over 40 pounds at local beach And found as many bullets relics on land and only had it couple of weeks. Just back into hobby had to sell last machines, which were minelab sov xs2 (great machine) eurotek pro, and coinmaster with nel coil, so the ace 250 has a lot to live up too! Very impressed with the ace 7/8" on a coin easy obviously deeper on large objects, iron discrim not great, but overall I like this machine a lot, getting nel tornado coil for it, and despite going for another minelab soon I will not sell the ace 250 its great detector. I have been using the Ace 250 for a year now and I have to admit that for the price you get more than your monies worth. The negative reviews are mostly from user's that didn't take the time to study the manual. The sensitivity has to be adjusted to gain depth in soil conditions otherwise you'll have chatter. The depth is fine for coin shooting. But most people leaving bad reviews are expecting 11"+ inches, not going to happen, I use mine for initial searching. It's lighter and has target id. I can sweep an area and get an average of six inches cleared then go to my PRL-1 for the deep stuff. The batteries last a long time and with my grey ghost headphones I get very good tone's. Don't knock the Ace until you have given it a fair chance. 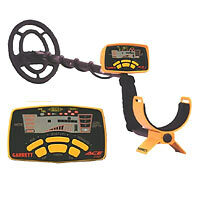 Ace 250 was my first metal detector. I found a lot of stuff using it. 250 is quite shallow but if search on allmetal mode you can grab some deeper stuff. Solid metal detector for those learning! This was the first metal detector I have owned. Although you can simply turn it on and go with a lot of success, there are a lot of little tricks you can learn to really improve your game. Running in all metal mode, and swinging slow have helped me grab relics and coins much deeper than what this forum says you should. This detector does very well ringing in silver and copper. Although it doesn't differentiate as well as other detectors, it does as well as other detectors in the price range. If you buy this detector, you won't regret it. It's currently my backup, and I constantly have friends along who borrow my Ace250, and are able to turn it on and have a very fun time. Must have got a real good one. At max sensitivity its hitting a clad quarter at just under ten inches. I had to remeasure to be sure. Sure enough just under 9 3/4 inches. I had an ace 150 that might get 5-6 inches on a qtr. I'm pretty impressed. Try to get one used as a good backup machine or for someone who wants to try out metal detecting. I read the manual watch the dvd that was included want to think garrett for a fine detector a good price that no one can go wrong in getting into the hobby had my weeks been out one time found $2.35 and 1 1891 indina head penney in real good shape. So far I find that everything works great, I tested it on the table with all the items that was in the book I also put each item in the ground at 2in all the way to 8in to see if it works well. I got the coil that came with it I also have other brands I find this one don't miss. My first detector was a BH1100 with an 8" coil and it severed me very good for just learning, and I used it for 2 years, but the depth on it wasn't the best about 6" on a coin and living in a very old part of town I ran it over my own yard plenty of times and dug out a few coins, ok good. Last week I picked up an Ace 250 and understanding it had a greater learning curve I started with my own yard just for grins, did not go 2 feet without picking up targets and with the sens set less than half, dug out a 1910 wheat, then a 1911, about 1 foot away, spent about an hour digging out coins that my first detector missed ended up with 10 wheats most at 6-8" down and a few nickels the 250 properly ID'd them all at the depth the detector showed, very happy with ACE 250 so far and its only been a few days. I bought the ace 250 and within 2 hrs of watching the dvd. My son and I were finding coins a matchbox car the very first evening before dark. Now I have had some experience back when I was a kid my Dad had a older garrett model and it was nothing like this thing. Within a few hrs in 2 days I have found over 40 coins quarters, dimes, nickels and pennies. I'm really getting use to it already and I'm confident if you learn your device you will find tons of valuables. I have had my Ace 250 for several years. I put the 5X8 DD coil on it and I am amazed at how well it performed before and how well it performs now. It is a deep machine despite the low cost. Sure you will dig more than if you use a machine with more discrimination but those signals will eventually be dug to consider an area hunted out. I have dug silver dimes at 8 inches in damp soil.